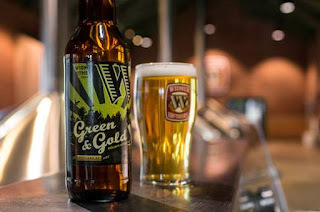 PORTLAND, Ore. – Feb. 28, 2013 –Widmer Brothers Brewing and the Timbers Army have teamed up to brew Green & Gold Kölsch, a limited-edition beer for the 2013 Portland Timbers season. The new beer will be available throughout the Portland area, and in select markets in Oregon and Southwest Washington, beginning on March 3, opening day for this year’s Portland Timbers season. 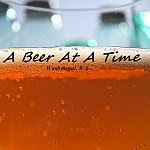 Green & Gold Kölsch is the creation of longtime Timbers Army member Abram Goldman-Armstrong, who won the “Full 90” category of the 2012 Timbers Army Homebrew Competition with this recipe. 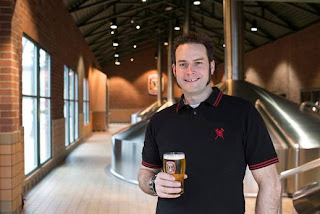 Goldman-Armstrong has been brewing variations of the Kölsch style since becoming acquainted with it in its native Cologne, Germany, while attending the 2006 World Cup; he entered his latest version of the style into the competition, which incorporated his homegrown Hallertauer hops. Goldman-Armstrong and the brewers at Widmer Brothers Brewing worked together to adapt the homebrewed Kölsch recipe to production scale, which will allow the beer to be enjoyed by Portland Timbers fans throughout the region for the entire season. While the batch brewed at the Widmer Brothers brewery is much larger than the initial homebrewed batch, Goldman-Armstrong worked to maintain the integrity of his initial recipe, and even added a few ounces of his backyard Hallertauer hops to this batch of Green & Gold. Green & Gold Kölsch will be available for the duration of the Timbers 2013 season in 22 ounce bottles and on draught at pubs and restaurants in Oregon and Southwest Washington. We are RCTID. Each year, the Timbers Army 107ist hosts a homebrew competition, bringing out the best in what makes the Rose City great: craft beer, creativity, and a passion for the Green & Gold – the colors of the Portland Timbers and the hops and barley we use to brew beer. Timbers Army homebrewer Abram Goldman-Armstrong’s recipe was chosen as this year’s winner and is brewed by Widmer Brothers for you to enjoy as you cheer on your Timbers during the 2013 season. Green & Gold Kölsch is a golden straw colored beer with aromas of strawberry and cracked black pepper, a soft sweet bready malt flavor, a creamy body, and a crisp, dry finish.